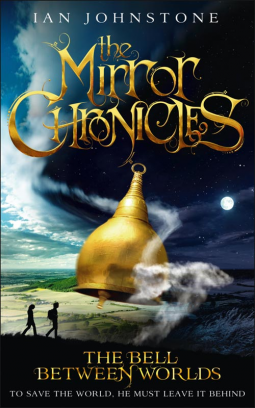 This book is definitely the bell of the ball - it's taking fantasy literature literally by storm this year. It is a book that, in my opinion, should certainly see Ian's name in the fantasy hall of fame. After flying through the first chapter I had a tingling feeling that this book was going to be really special and I was not wrong. The more that I read, the more I became totally immersed in an amazing world of painted words - it is a story that's breathtaking and an absolute joy to read. I feel that it will be a book that you will reflect on for the rest of your life. Just like when you first read the Hobbit or Sabriel or took your first stroll along the story path of Terry Pratchett. It's a reading journey that will take you to another world and one that you will remember for a very long time. Fantastically exciting to read, but you may feel a great sense of loss when it has ended, as I did. Sylas Tate leads a lonely existence since the death of his mother - it is not a happy life. However, an figment of his own imagination draws him to a strange shop called The Shop of Things. There he has an encounter with an even stranger owner, Mr Zhi, who from that point onwards whips the story up into a thrilling, action-packed ride. The tolling of the giant bell draws both him and the reader into another world known as the' Other'. Here he discovers that, not only does he have an inborn talent for the nature-influenced magic, but that his mother might also have come from this strange parallel place. This story is beautifully written and captured through fantastic imagination. Ambitious in its telling, it is has a whole host of characters that you will fall in love with. Humour and humanity, compassion and despair, dark and light - all are classic attributes found within this story. It will leave your senses and emotions running on autopilot whilst the timely action sequences will leave you in awe. One particularly fantastic part of the story can be found in the chapter entitled 'Nature's Song'. It is told like a classical symphony with the conductor controlling the elements to the tune of Antonín Dvořák's "New World" Symphony. This is the best chapter that I have read in a very long time - magical, vivid and exhilarating. It was so good that I actually read it twice and enjoyed it equally as much the second time. Half of your soul is missing. The lost part is in the mirror. And unless Sylas Tate can save you, you will never be whole again.